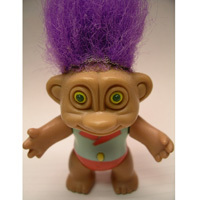 If you have a blog, you know the trolls I am referring to. Trolls are typically people who post rude comments with the sole intent of offending or provoking others. Their comments are usually off-topic and are meant to initiate a defensive or equally vicious response from the target. Trolls may post once, occasionally or be regular offenders, but their goal is usually to be as disruptive as possible by instigating others. If you give the troll the attention they are after by reacting, they usually win, so paying little attention to them is the best way to deal with trolls. DFTT is a well-known acronym in the blogging world, and basically reiterates the importance of not acknowledging the troll and their comments. If you respond, you are giving them more ammunition to continue on with their disruptive behavior. When you ignore them entirely, they may eventually just go away. But what if ignoring them just doesn’t work? If they become a habitual poster and start to disrupt conversations with your readers and essentially drive people away with their negativity, you may need to try a different tact. You can usually find out something about the troll by checking their account information for an email address, website and/or IP address. Even if the poster comments anonymously, if you keep a record of submitted comments and they have commented before, you may be able to identify them. If it’s someone who has commented normally in the past, it’s possible that they’re just having a bad day and their one comment will be the end of it. You can also Google the troll with whatever information you have to see how they act on other outlets to get an idea if this is habitual for them or a one-time thing. If you’re able to get an idea of what is motivating them to post inappropriately, you can make an informed decision on how to handle the situation. Trolls want you to get angry and respond defensively to their taunts. You can turn the tables on them by taking the high road and thanking them for their comment, pulling them into the conversation, and even complimenting something that they said. You will likely catch them off-guard, although they may come back and keep trying to incite you. If you have serial trolls commenting on your blog, you may opt to put your comments in moderation and refuse to post anything that is off-topic. Although this may be an inconvenience to your regular readers, this may be the only way to maintain the integrity of your blog. In the most extreme situations, if a troll escalates the situation to personal attacks, invading your privacy and excessive harassment, you may be in a position where you will need to take legal action. Keep a log of all of your interactions with the subject so you have a paper trail of the situation to use to back up your claims. This is a rare but very serious situation, and one you will want to be prepared for. How do you deal with trolls on your blog?